Tell me about when you started collecting scarves. I started when I was 18, so it’s been about 11 years. I started to get really into Vivienne Westwood and Comme des Garcons, and obviously as a teenager I didn’t really have the budget for that sort of thing. I started finding the scarves on ebay and realized there’s a whole range of licensed stuff that comes out in Japan that isn’t released anywhere else. You can get Vivienne Westwood face-washers, I don’t know why anyone would need one but I have one! My friend Frankie would go there every couple years and brought me back some as gifts. What speaks to you about these scarves? I love the prints, I love that it gives me the opportunity to incorporate those brands into my wardrobe. If I were to collect the t-shirts for example, it would be way out of my budget! This means that I can get a little bit of these collections into my everyday clothes without it being too much. They are pretty loud prints, but you can turn one into a headband or a little neckerchief. It can change quite a simple outfit, especially while traveling. Usually I’ll take quite neutral clothes that go with everything and a few scarves, and suddenly you have a whole bunch of different outfits that are more fun. I love the one I’m wearing because it’s so bright and colorful (in the first photo). I love the blue and cream one, I have a pair of stockings in the same print. The silk ones are so nice because they don’t stick out too far, they sit a lot better. I love the little embroidered pieces in the corner that they usually have. 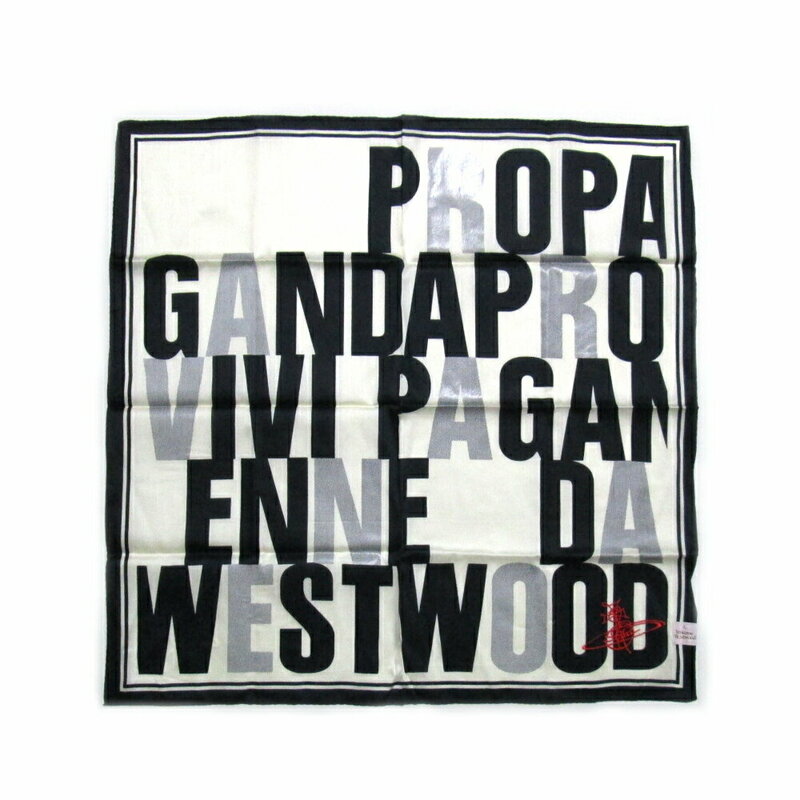 I love the Vivienne Westwood word print one from the Propaganda collection (not pictured), but it’s a little hard to wear because it’s so big, it might work better as a wall hanging. Because I’m a snoop, it looks like you have other collections around besides the scarves! I do also like a bit of second-hand gorman, I’m in the facebook group. I turned their tea towels into couch cushions with the help of my Mum. I’m working on my vintage Comme des Garcons collection. And polka dots, and books. I’m trying to do the same as with everything else; not too many double ups. You’re allowed one reading copy and maybe one really pretty copy but not multiples. I’m not very good at following that, though!